We’re accepting payment by credit, debit or app. Why we’re doing away with cash money. We started this company wanting to do things differently — we believed there was a better way to eat and support local food economies, so we built sweetgreen from scratch to make it happen. And we’ve continued to ask questions and challenge convention every step of the way. We don’t do things the way they’ve always been done; instead, we try to create better solutions. Maybe it’s a millennial thing, maybe it’s an entrepreneurial thing — either way, it’s in our DNA. As a fast-growing business, we’re always looking for ways to innovate and challenge the status quo. To us, innovation isn’t necessarily about new technology — it’s about curiosity and asking why. The fast-casual food industry is facing several headwinds, like rising rents and labor costs, so businesses like ours require creative and sustainable solutions to scale smartly and continue building healthier communities. We went into 2016 taking a good hard look at how we could simplify our store operations to help lay a foundation for rapid growth. As we challenged ourselves on every operating procedure, we couldn’t stop thinking about cash handling. On average, cash management takes two hours a day in each store, regardless of the amount of cash — that’s a big chunk of time, especially given how few cash transactions we do in our stores. We wondered if we could do away with it. Going cashless isn’t unprecedented — the entire airline industry has all but done away with cash , and Sweden is a nearly cashless society— so we explored the idea, with a months-long cashless test. When we started sweetgreen in 2007, 40% of our transactions were cash. Earlier this year, when we started experimenting with going cashless, that number had already fallen to less than 10% of transactions, fleetwide. Over the past 6 months, we’ve tested cashless in 10 stores and many of the new locations we’ve opened. Our cashless test included a variety of stores — existing, new, urban, suburban, college — including a few stores that see more than 30% cash transactions. We wanted to know a few things: how would guests react, how much would service speed up, how much time would we save, how much more sustainable would cashless be, and how would consumer behaviors change. At our cashless locations, our team members were able to do 5–15% more transactions an hour, which means guests were in and out several minutes faster in a cashless store than one that accepts cash. And while it took some adjustments to consumer behaviors, most guests have adapted to paying with card or app and understand why we’re moving this way. So it’s looking like cash maybe isn’t king after all. Thinking sustainably — one of our core values is all about making decisions that will last longer than we will. We run our business with an eye on the future, always thinking about choices that will make the biggest impact and will resonate with you, our consumers, who embrace evolution and innovation. It’s through that lens that we’ve decided to go cashless. By March of 2017, sweetgreen will no longer accept cash — we’ll accept payment by credit card, debit card or mobile app. * Welcome to the future, baby. A win for the customer: 75% of consumers prefer to pay with credit or debit cards (only 11% prefer cash), which provide a paper trail and loyalty points. And you don’t even need to carry a credit card with mobile payment apps like Venmo, which processed $1 billion in January 2016. We believe digital payments are the future, and we want to help lead that charge, not lag behind. 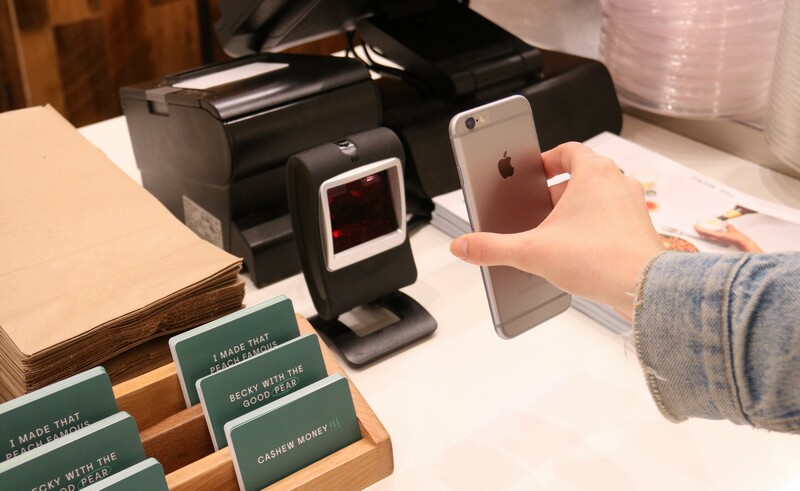 Plus, going cashless will expedite the speed of service at your local sweetgreen and give two hours back to our team to do more important things, like connect with you. A win for the company: We’ve invested people, time, and resources into building a seamless mobile app that lets guests order, pay, and earn rewards, and we’ll continue to invest in that platform. Today, over 30% of our transactions happen digitally (either via online ordering to scanning the app to pay in-stores), and trends suggest that number will climb. Plus, going cashless creates a safer environment for our employees — with no cash on-hand, they’re less of a target for theft. A win for the community: We estimate that going cashless will save 100,000 driving miles (plus gas) for armored car pickups each year, as well as 500 lbs of paper. So eliminating green actually is more green. Those two hours we’re getting back in each store from not having to count cash are now being spent developing our people and focusing on you, our guest. That means we can open more locations in more communities, as we work toward our mission to sustainably scale healthy food. And we think that’s something that all of our customers will be happy about. *In Massachusetts, we will continue to accept cash payments, per state law. 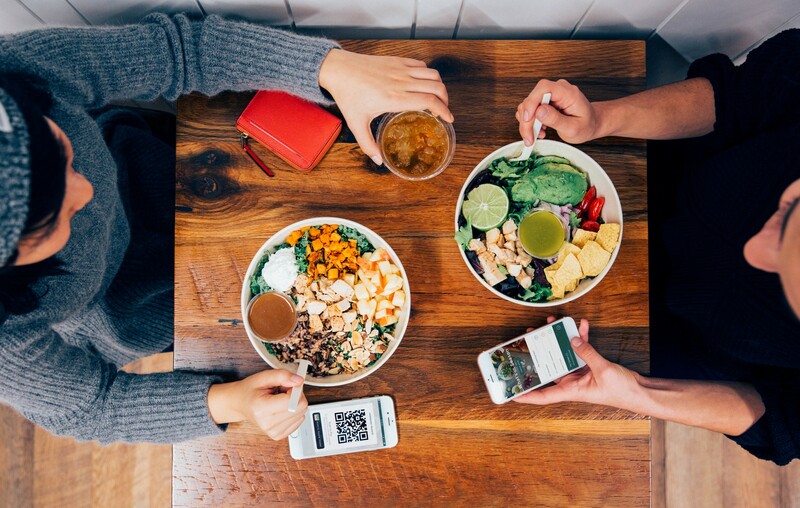 In Philadelphia, New York, Illinois and California, sweetgreen will be cashless starting January 18. In Washington, DC, Maryland and Virginia, sweetgreen will go cashless on March 8.
connecting people to real food since 2007. sweetgreen.com. Stories from the sweetgreen community.